Thousands of teachers are using these beautiful, quality reward belts to reward their students for progress in such methods as our highly motivating Recorder Karate method. In fact, these Essential 9 colors match the colors used in Recorder Karate. 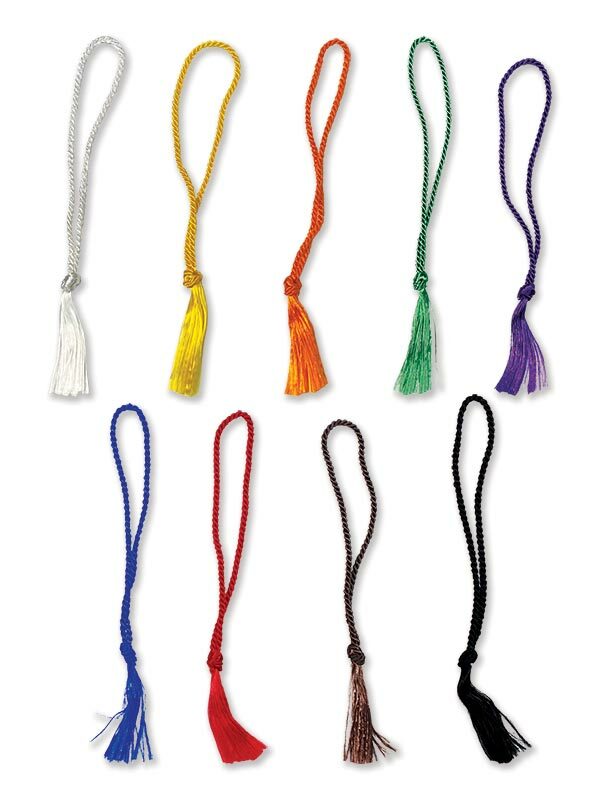 These are very neat, richly colored tassel-style reward belts that look great hanging from a recorder and are easy to prepare on your end. They are soft, bright, and made from quality embroidery thread. And the colors are safe to use with your young players. As an aside, we note that some teachers like to add beads and charms to their belts. We have found that these belts look great with such adornments.